Rogers, who makes his home in Somerset, is currently serving his 16th term in Congress, representing the people of the Fifth Congressman District in Southern and Eastern Kentucky. He is the longest serving Kentucky Republican ever elected to federal office. On Capitol Hill, he serves as chairman of the powerful House Appropriations Committee. 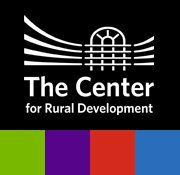 The Center for Rural Development partners with six affiliate organizations to better serve the needs of Southern and Eastern Kentucky. PRIDE (Personal Responsibility in a Desirable Environment), Operation UNITE (Unlawful, Narcotics, Investigation, Treatment, and Education), Southeast Kentucky Economic Development (SKED), and TOUR Southern and Eastern Kentucky (TOUR SEKY), and the National Institute for Hometown Security (NIHS)—The Center’s affiliate organizations—bringing local communities together by revitalizing the environment, providing hope in the fight against drugs, building small businesses, and creating jobs by increasing tourism in the Bluegrass state. Each affiliate organization, regardless of its specific focus and tactics, has an eye toward economic development and life improvement that broadens The Center’s base and increases its services. The Center is dedicated to working cooperatively with these affiliates and state and federal organizations to maximize benefits to the region and meet its core mission goal: to provide leadership that stimulates innovative and sustainable economic development solutions and a better way of life in Southern and Eastern Kentucky.